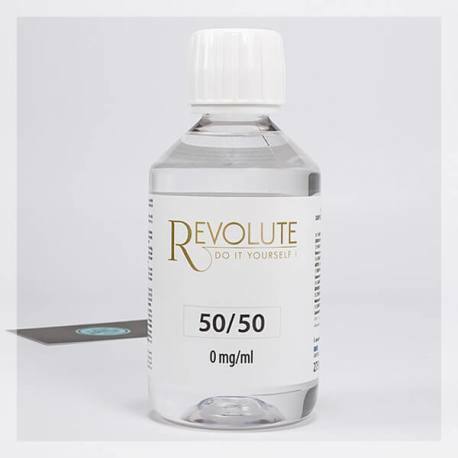 Neutral ready-to-use liquid base 50/50 to produce your e-liquid. This e-liquid base offers an excellent vapour/hit balance. Base available in 0mg/ml of Nicotine. Sold in 275 ml vials. The 50/50 base is a very nice mixture that gives dense and abundant vapour that simulates traditional cigarette smoke. A good compromise, combining the best of propylene glycol and vegetable glycerine: good vehicle for the aromas, a satisfying hit, generous vapour and light viscosity (to avoid rapid clogging up of your material). This liquid is ready-to-use for you to make your own e-liquid. The only thing left for you to do is add the concentrated aromas of your choice. How to make your Nicotine Base with the Nicotine Booster? Caution : Nicotine content in the Nicotine Booster is a product which must be handled with care. Always wear protection gloves and protection glasses when handling the Nicotine Booster. Warning: Nicotine is a dangerous product even when diluted and it should be handled with extreme care. Always wear gloves and safety goggles when using nicotine bases.